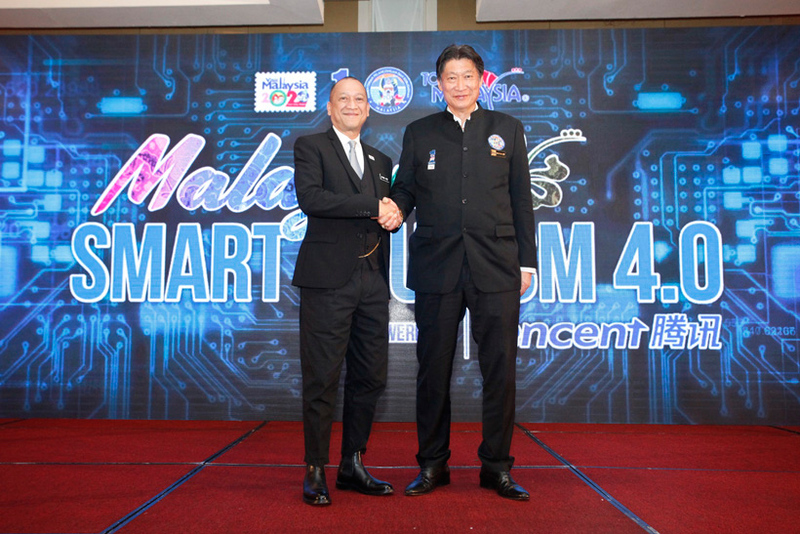 Tourism Malaysia has revealed the Malaysia Smart Tourism 4.0 initiative in an effort to embrace the increasingly apparent trend of digital technology usage in tourist travels. Launched by the Minister of Tourism and Culture Dato’ Seri Mohamed Nazri Abdul Aziz at Hotel Istana Kuala Lumpur in an event that saw some 300 tourism industry players attend, the initiative heralds an online platform upon which Malaysian tourism highlights can be presented to potential tourists from China. “Advances in digital technology are impacting how people travel, demanding tourism-related businesses to transform the way they operate. In light of this, Tourism Malaysia has launched the Malaysia Smart Tourism 4.0 initiative to take the industry to the next level utilising opportunities in the digital age. This initiative is a key development and game-changer that will transform our tourism industry and take us to the next level,” Dato’ Seri Mohamed Nazri Abdul Aziz said during his speech. He added that according to a Monitor Deloitte study, Smart Tourism is a key thrust to greatly increase Malaysia’s tourism-based receipts, specifically from the growing and high-value segment of free and independent travelers. Smart Tourism, the study revealed, has the potential to increase Malaysia’s tourism-based receipts more than fourfold, from the current $25 billion to $110 billion by 2030. The Malaysia Smart Tourism 4.0 initiative serves as the first milestone in Malaysia’s 10-year tourism roadmap, and is executed in collaboration with Tencent Holdings, the 4th most valuable Internet company in the world. Tencent will create a digital ecosystem for Malaysia to reach out to the 1.4 billion Chinese population by employing effective marketing strategies. Current and new tourism industry players can therefore take digital technologies on board to enhance tourism offerings and improve tourist experiences. According to Dato’ Seri Nazri, it’s a timely initiative since there is an anticipated 1.8 billion people travelling the world by the year 2030, a huge portion of which are the Chinese tourists. “The Chinese made 130.5 million trips overseas last year, a 7% jump over 2016, while total spending increased by 5% to an estimated $115.3 billion. They accounted for more than a fifth of the money spent by outbound tourists. With Smart Tourism 4.0, there is an opportunity to grow Malaysia’s share of the China market to a potential of 8 million tourist arrivals in the year 2020,” Chairman of Tourism Malaysia Dato’ Dr Siew Ka Wei said. The initiative is expected to go live in July 2018, and efforts are currently underway to create marketing materials, such as videos, highlighting the vibrant tourism offerings in the country. These would then be posted on the Tencent platform to reach some 980 million potential Chinese tourists.